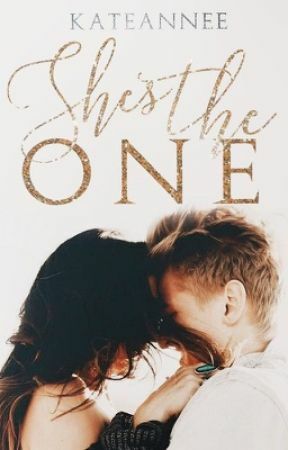 Chapter Five: She&apos;s one of a kind. GEORGE sat in the cafeteria waiting for Lydia&apos;s lecture to finish so they could go get lunch together. Though what he didn&apos;t expect is for a couple of guys from the team to sit down beside him. "Marlon said your girl and you are going to his party tonight," Jack, one of the guys across from him stated. "Yeah," George said, confusion laced in his tone. Why were they asking about that? David, a guy on the defence line smacked George&apos;s back and smiled, "thank God, you never go anywhere mate." George shook his head and grinned, "I went to the first party." He knew that there were many parties after that and he was invited though he didn&apos;t want to go. He knew Lydia didn&apos;t want to go either as both of them were still trying to figure out college and settle in. Though now, they were settled and the guys wanted him there. Lydia wanted him there. Lydia smiled as Freya sat beside her as she packed her bag. "Wanna get ready for the party with me?" She was smiling as if Lydia had already said yes. Pursing her lips, Lydia thought about George and how they had plans. "If you&apos;re thinking about your hunky boy, then stop because Marlon and the team want to bond with him. Anyway, you and I need to bond too." Lydia smiled and nodded, "sure, Freya but we have to stop at the apartment first. I need to pick up my clothes." Clapping with joy, Freya jumped up from her chair and hugged the brunette, "we&apos;re going to look fabulous!" George smiled down at his phone as the  Marlon handed him a beer. Lydia <3: Have fun. I&apos;m with Freya and I&apos;ll see you tonight. Love you. Marlon nudging him brought George back to reality and he glanced up to see Marlon smirking at him. "Dude, you got yourself one hell of a girl." Thoughts of Freya and Marlon so far? Do you guys like books with graphics throughout or using your imagination?